According to the Capital Weather Gang, the high temperature in Washington, D.C. on June 9 was 102 degrees, tying a record that was set in 1874. It also tied the record for the hottest day ever in the month of June since record-keeping began in 1871. Although the first official day of summer is still a week away, summer weather is in full force — which calls for summer beer! Bohemian Pilsner (4.7%), another summer session beer that is surprisingly tasty and delicious for a Pilsner. This brew is only available in the Summer Vacation mix pack. 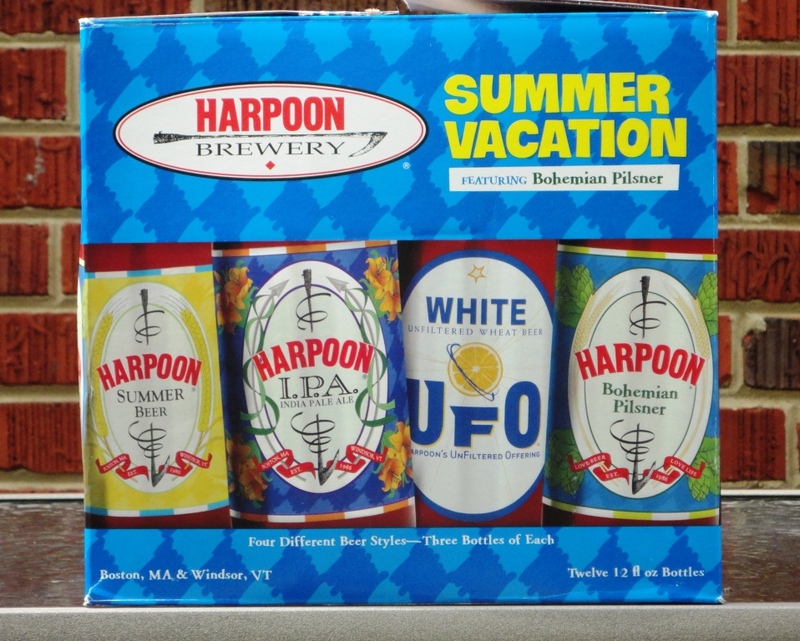 I’ve enjoyed a case of the Harpoon summer 12-pack already this summer and I’m looking for more. But now that pool season is upon us, what I would really love to find is Harpoon beer in a can. The brewery announced in May 2010 that it was introducing IPA and Summer Beer in cans, but I haven’t seen them.